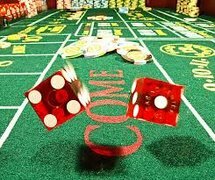 Casino Parties are great for Fundraisers, Corporate, Private, Colleges and more! How does it work? 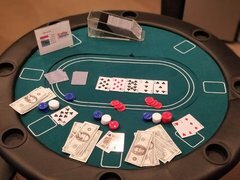 To start - guests will arrive and pickup their "play" money from the welcome table. The money is used at any table to purchase chips to play the games. At the end of the evening participants can turn in their chips for a grand prize, raffles, or drawings. Whatever you as the host decide beforehand. Casino nights provide a special carefree evening where you show customers, employees, friends, and participants a great evening. 3 Monkeys Inflatables is located in Red Lion, PA and serves surrounding Pennsylvania counties including: York, Lancaster, Dauphin, Berks, Bucks, Adams, Cumberland, Lehigh, and Perry. 3 Monkeys Inflatables also serves Maryland Counties including: Baltimore, Harford, Cecil, Frederick, and Carroll Counties. Travel fees may apply to all areas outside of York County. We pride ourselves on our ability to provide clean equipment, great customer service and great safety guidelines. 3 Monkeys is fully insured for a worry free Entertainment Rental Experience! Call us at 717-650-7657 or 410-581-5867 or CLICK HERE to reserve your rental by date now!